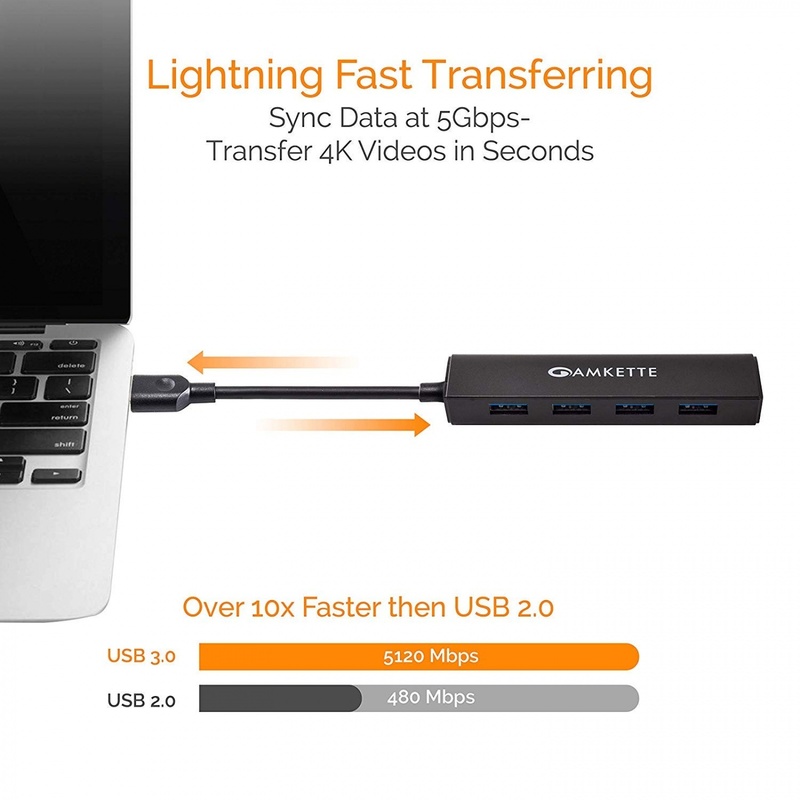 POWERFUL YET COMPACT: Instant access to 4 USB 3.0 SuperSpeed ports that offers data transfer rate up to 5Gbps (640MBps),10 times faster than USB2.0. Sleek and Slim pocket-friendly design, integrated with 16cm USB3.0 cable that fits with any laptop, notebook, MacBook, tablet, and desktop. 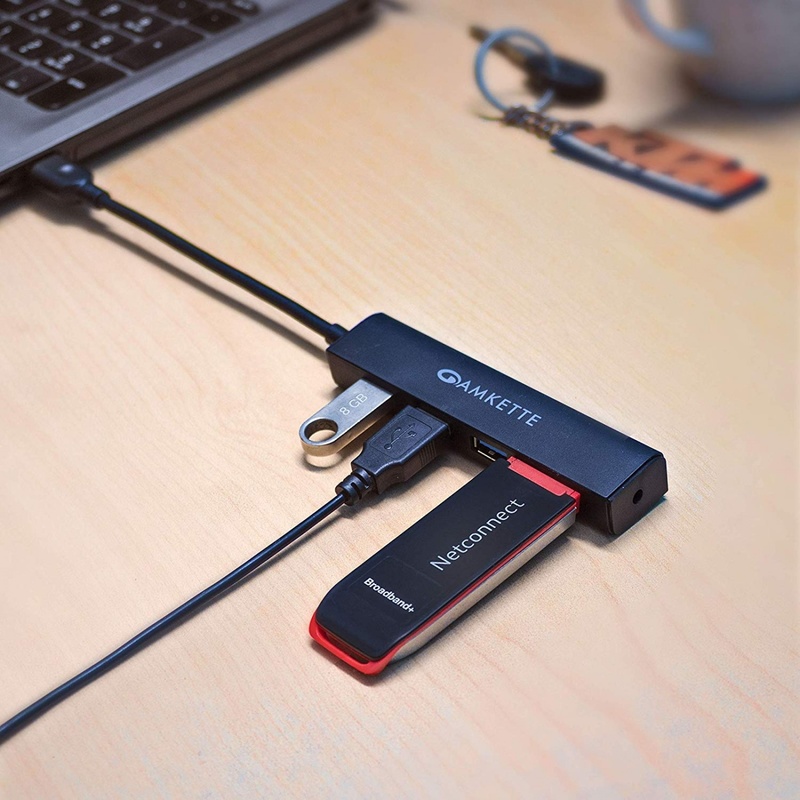 WIDE COMPATIBILITY: Support USB devices including-USB flash drive, digital camera, hard drive, card reader, webcam, keyboard, mouse, printer, monitor, tablet, cell phone, etc. ; compatible with most popular systems, Windows 8 / 7 / 10 / Vista / XP, Mac OS, Linux. 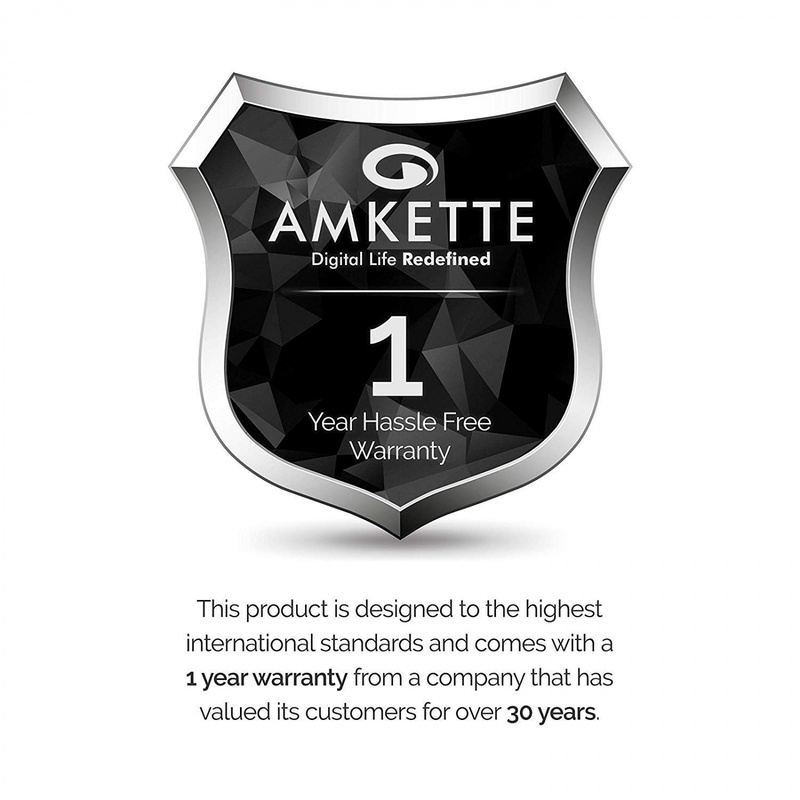 THE AMKETTE ADVANTAGE: HASSLE FREE 1 YEAR WARRANTY from a company that has valued customer for over 30 years. For any assistance, you can always call our customer care number 1800-11-9090 or WhatsApp on 9312691448. 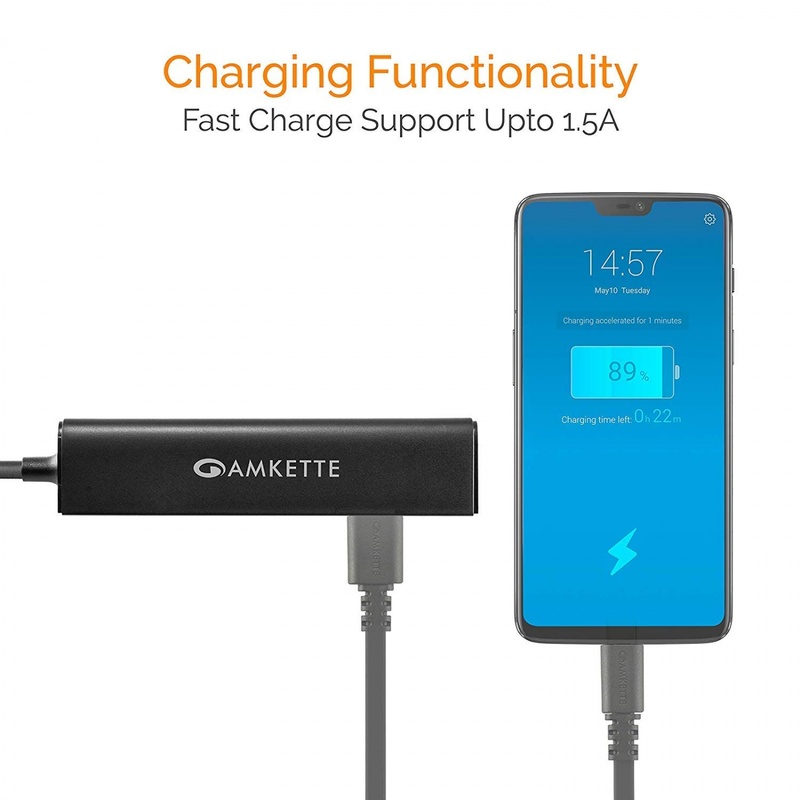 Amkette’s SuperSpeed USB 3.0 Hub not only transfer data 10 times faster compared to USB 2.0 but also provides charging function. Use an external charger for higher output. Simply connect and use USB devices such as External Hard Drives, Flash Drives, Digital Cameras and printers, all from a single hub. It does not require any software, drivers, or complicated installation process. 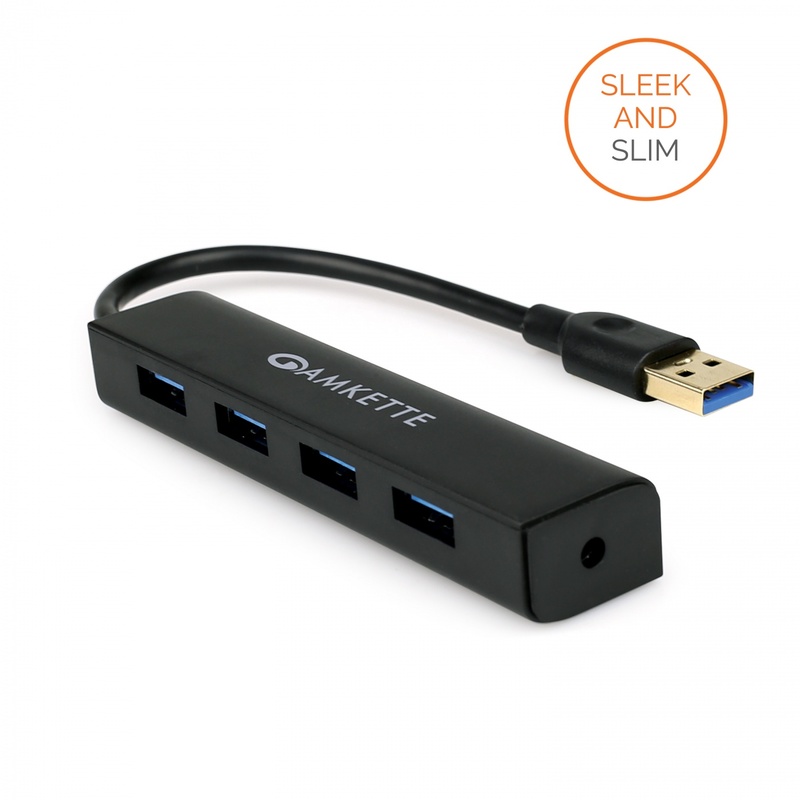 USB Hub with charging function. HASSLE FREE 1 YEAR WARRANTY from a company that has valued customer for over 30 years. For any assistance, you can always call our customer care number 1800-11-9090 or WhatsApp on 9312691448. 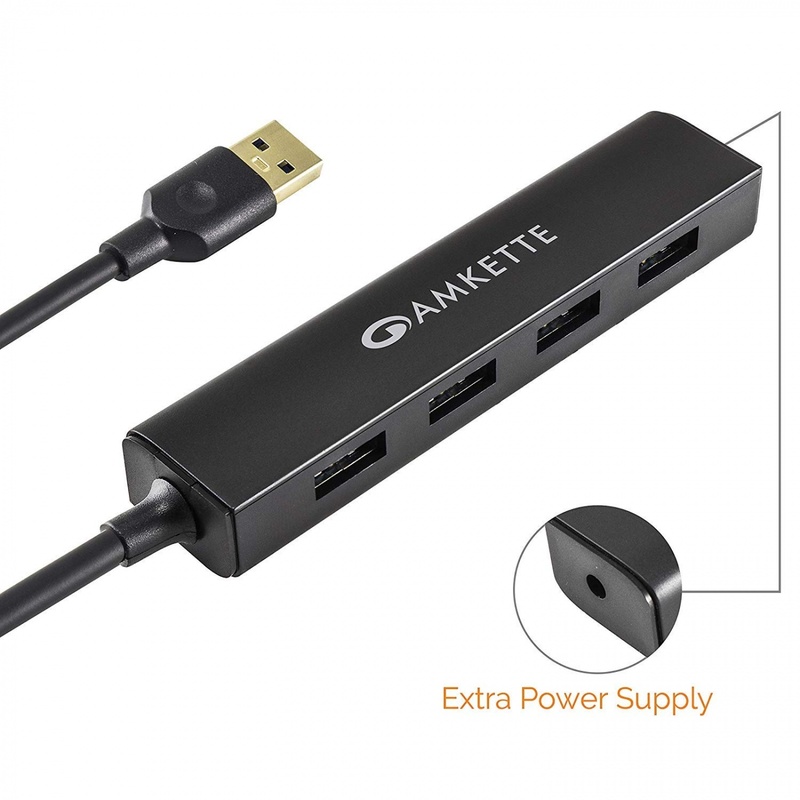 Feature USB Hub with charging function. Warranty Summary HASSLE FREE 1 YEAR WARRANTY from a company that has valued customer for over 30 years. Customer Support For any assistance, you can always call our customer care number 1800-11-9090 or WhatsApp on 9312691448.